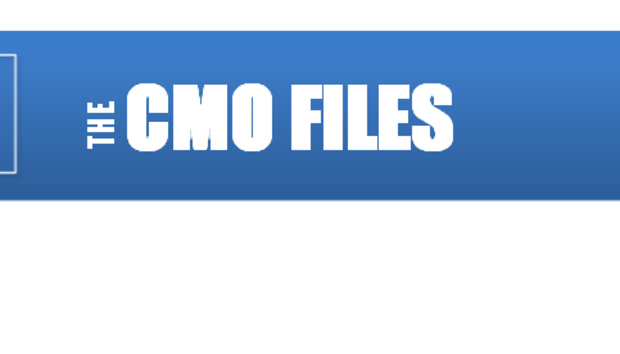 CMO Files: Grant Johnson, CMO, Kofax, Inc.
Get inside the mind of the world's top marketing professionals. A marketing administrator for a telecommunications company. I loved the “marketing” part, but the “administration” part bored me to tears. The original Macintosh. I bought one of the über cool beige desktops in 1986, just a couple of years after it was introduced. The simplicity and elegance Apple achieved is still awe inspiring 30 years after its birth. It hasn’t been one person. I’ve had the privilege of working for many CEOs in my career, both founders and professional managers. Their collective drive, passion, sense of urgency, high standards and refusal to accept mediocrity (“good enough isn’t”) has shaped how I’ve led and still lead my teams. My three kids are of course my greatest achievement ;-). In addition, while I co-wrote a book entitled PowerBranding, the greater achievement has been putting its principles into practice, such as renaming Big Fish Communications to FrontBridge, leading to an acquisition by Microsoft, as well as accelerating the growth of market leaders like Pegasystems, and now helping transform the market perception and growth trajectory of an established company like Kofax. Declining the opportunity to work at Dell in the 1990’s. They had explosive growth the entire decade and it would have been fun to be a part of it. Looking back, Austin is a fine place to live, even for a California native! I think it’s how I view the world. It’s not just having a positive attitude, which I think is essential in life. It’s that I don’t accept the status quo; I see possibilities and challenge people to think differently, to strive more, and to continually improve. It’s probably my lack of patience. Having a sense of urgency is critical in business and it’s hard to have that and also be patient. However there are times when waiting a bit longer could be the better choice than concluding a particular project or initiative that doesn’t show immediate results isn’t working. Hands-on staff management. Before I became a head of marketing, I worked for or reported to several leaders and it astonished me how many focused so much on managing up vs. managing across their organizations. There’s a spark in almost every human being and you have to find that spark to get someone fully engaged in their job and contributing to their utmost. There are about 80 people in marketing at Kofax and I think: how much more impactful we could be with 80 sparks flying versus just 40! My mantra is “make it happen.” It’s a well-worn phase, but it encapsulates both the act of accomplishment and the individual’s responsibility to turn a goal into reality. What makes me squirm is “it’s not my job.” Peter Drucker once said “the purpose of a business is to create a customer.” Everyone should understand this and do whatever it takes to get – and keep – customers. When people make excuses, it drives me crazy. Being late. Late to work, late to deliver. Late to catch the next wave. It makes sense given my lack of patience. Listen to jazz, go to the beach, play tennis and drink good red wine. All four in one day is even better! Brian Hughes “And to Beauty.” It’s a brilliant, hypnotic, driving melody. You have to love modern jazz guitar to truly appreciate it. I used to be a big LA Lakers fan. Their time is up. Now I’m a loyal LA Clippers fan. Spain. I studied there for a while and speak the language, so it would be fun to actually work where they take a couple hours off for lunch! There are very few brands in the world on par with Apple, let alone technology companies, so it’s even more impressive how distinctive and consistently good they are. Many people think Apple will wane in the post-Steve Jobs era, but I believe their brand loyalty will carry them a long way into the future. That marketing is constantly changing and always challenging. There are other professions that are more stable and secure, but the dynamic nature of marketing, e.g., what worked yesterday won’t work tomorrow, and the need to continually adapt and improve in order to succeed, is a sustaining motivation to me. It would have to be one of the classics. Probably The Maltese Falcon by Dashiell Hammett. I love the hard-boiled crime fiction genre, and he was arguably the best of his era. That my team and I are not moving fast enough. Marketing had changed so dramatically in the mobile/social/web world, and we need to reinvent and learn how to succeed in the customer-driven era.